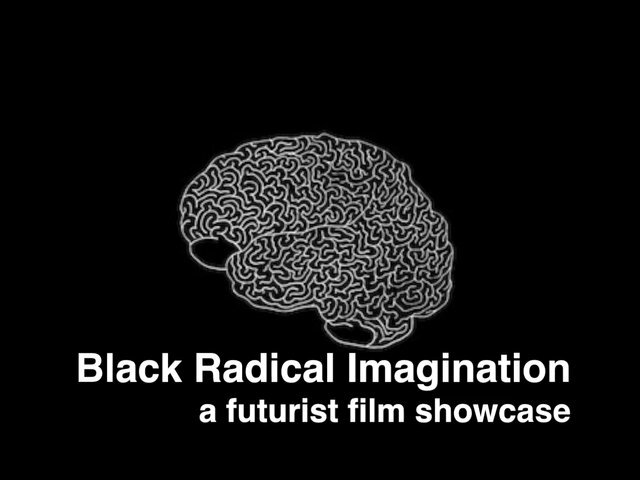 When I first heard that the Black Radical Imagination were showing their Futurist Film Showcase at The Meat Market in Brooklyn, at first I was a little suspicious. Turns out, it’s a clothing boutique with a strange name and nice items. But anyway, I did enjoy the showcase, which for me was a selection of seven films I already saw and an introduction to new films I did not. *Next was Jacolby Satterwhite’s Reifying Desire. The juxtaposition between the natural world of rocks and streams, and the fantasy world of desire bubbling up and flowing out of the two dancers, recreating the nature around them. Here are pictures from the film. *Third was Mae’s Journal, a short semi-documentary style film of Mae Jeminson detailing her first trip to outer space in journal entries. The filmmaker is Black Radical Imagination’s own Amir George. I liked that the film mimics Jemison’s view of a need for art and science to be hand-in-hand, showing an actress portray Jemison dancing, writing, swimming while also exploring space. Also, I liked the comparison of Jemison to Bessie Coleman and encouraging black women to explore. *Akosua Adoma Owosu’s Split Ends, I Feel Wonderful takes a normal practice in black communities of hair styling and accessories, and makes them strange and new again by using kaleidoscopic shots and detached voiceovers on old film from the ’70s. *The next film was pieces from a larger work from Anansi Knowbody. Although I forgot the name of the piece (something about stillness and foreshadowing), it depicts a man with disorienting dreams including one where he is meditating but simultaneously seems anxiety-ridden, the camera is shaking, he is breathing heavy and his heartbeat is increasing. The other is him running away from someone or something and also being drowned before waking up. *Cauleen Smith’s The Changing Same was one of the first films I viewed from a declared afrofuturist. The film is about an alien sent to earth on a mission to investigate “incubators” (the humans), but upon meeting another alien who is unable to get home and is sick, and who she is supposed to replace, she questions her mission. Smith’s film is reminiscent of other films whose themes are migration, home and assimilation through a speculative context, like Brother From Another Planet, or even Frances Bodomo’s Boneshaker. Here are some links to more about the film: Studio Museum and Mosaec. The preview for Bodomo’s Afronauts was shown later in the showcase. *The last film was Buki Bodunrin & Ezra Claytan Daniels‘ animated film The Golden Chain. If you look up the golden chain, there are a number of resources from philosophy to alchemy texts to yourba cosmology. They seem to be a reflection on human’s connection to nature and the cosmos through our senses, but also ways that we try to transcend them. In this dystopian future film, a black female astronaut (Yetunde) is in a spaceship in the shape of a neuron and trying to connect to a loved one, but she can only do so through an interface not his actual body. The film starts with the main character describing the function of seeing (called “cyin”), and together with the visuals suggests how what we see and sense can sometimes keep us from getting to connect with others. She is alone and lonely in space. But I also like that it is a recreation of a creation myth – the god trying to look for or create new world of connection because it feels alone in the world it already has. Looking forward to more showcases and works from this group!